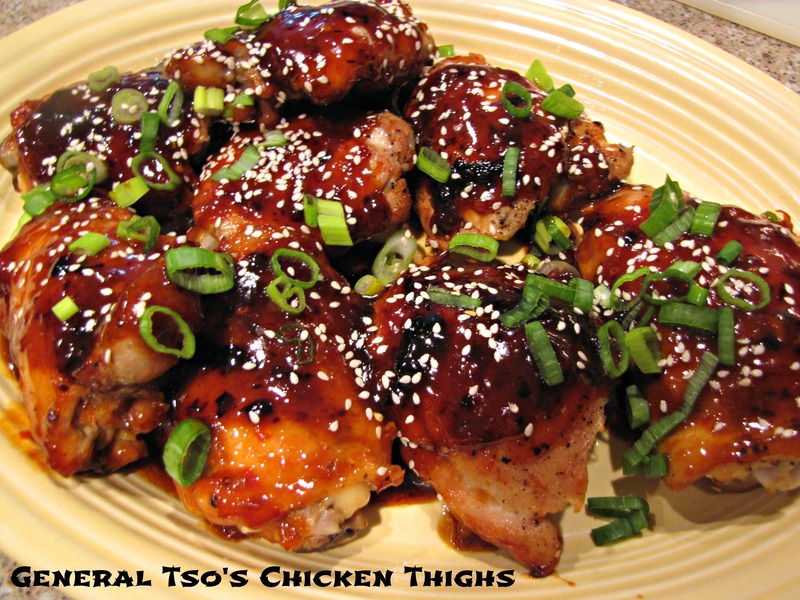 I thought we should make a new category here at Idiot’s Kitchen…Super Simple Sides! 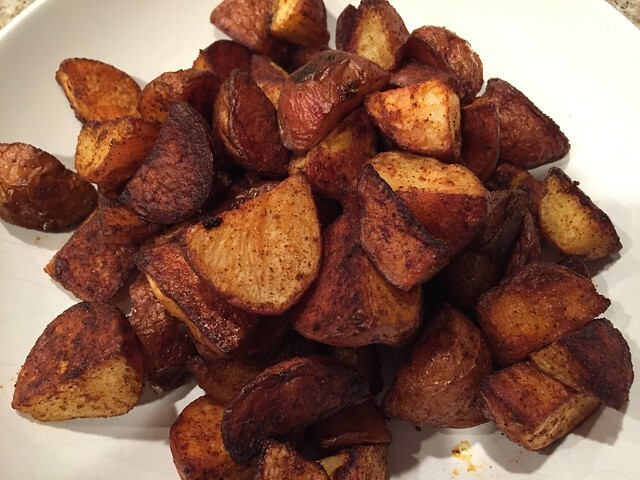 Smoky Roasted Potatoes are a good place to start. 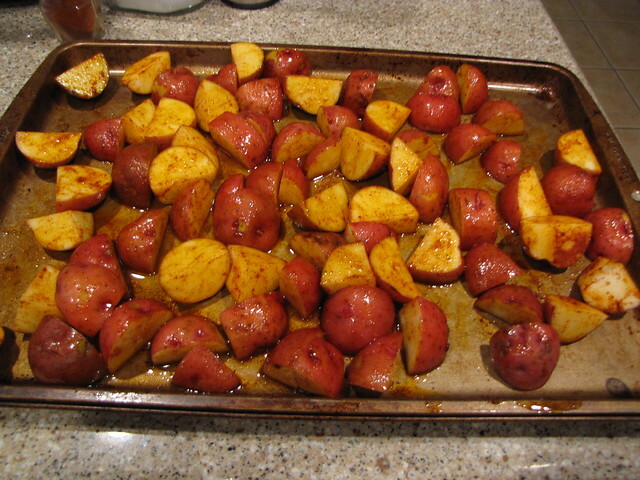 You can’t get much better or more simple than potatoes roasted in the oven. Add a little (or in my case, a lot) of smoked paprika and ordinary potatoes are transformed with smoky goodness. By the way, my first cat’s name was Smokey so it is killing me to spell smoky (the adjective) without the E. Looks totally wrong to me so I looked it up. Smokey with an E for proper nouns (cat names) and without for adjective/recipes. UPDATE: No more stuck potatoes! I’ve since learned to roast potatoes on a parchment paper lined baking tray. It’s a game changer! 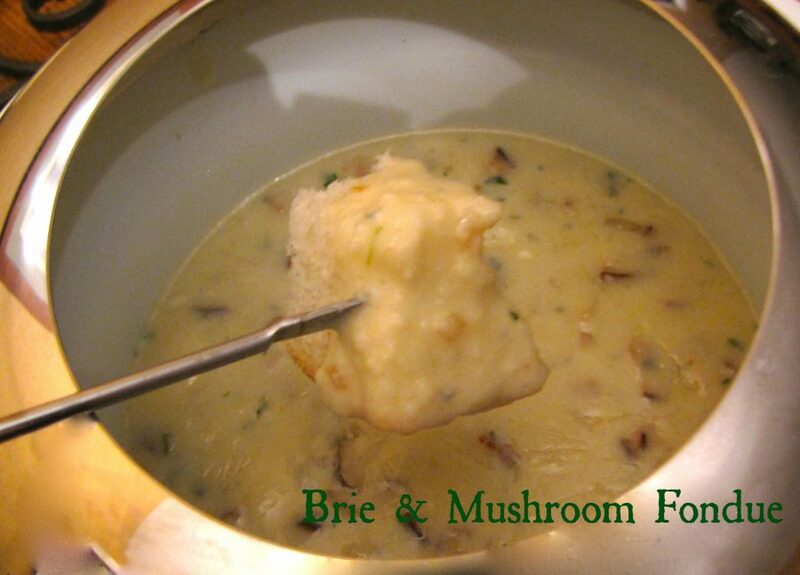 Even though you won’t see it in the photos below, COVER that tray with a piece of parchment paper. You’ll be glad you did. 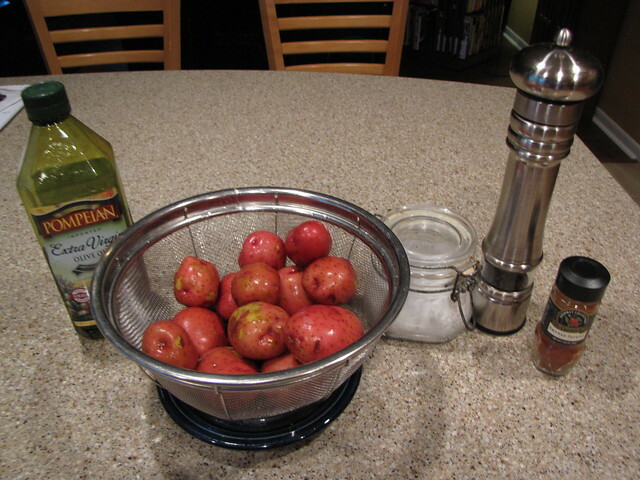 I love small red skin potatoes – sometimes also called new potatoes. No need to peel them, just give them a quick wash and dry. 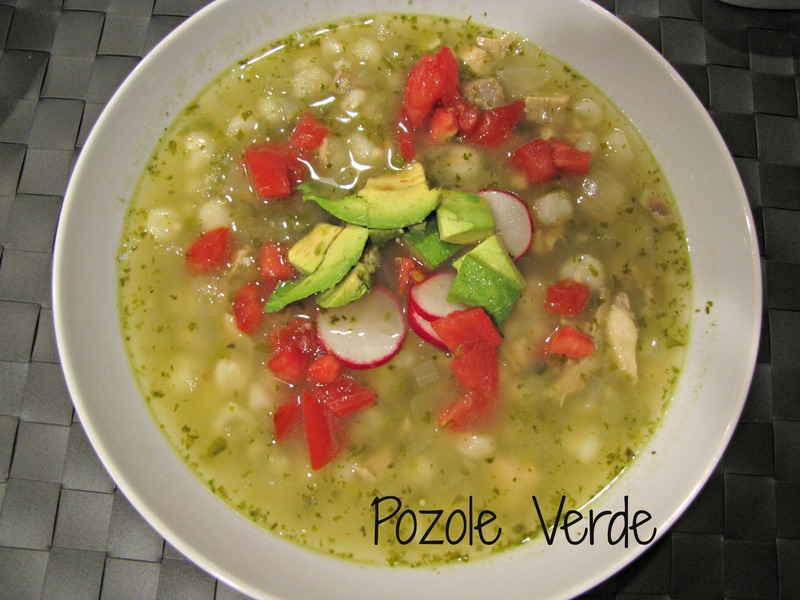 Cut 2 pounds of potatoes into halves or quarters depending on their size. You’ll want these to be bite-sized, good for spearing with a fork right off the tray. Speaking of the tray, grab a big one. You don’t want these potatoes to be crowded or they will steam rather than roast. It’s better to use 2 pans if you need more room. 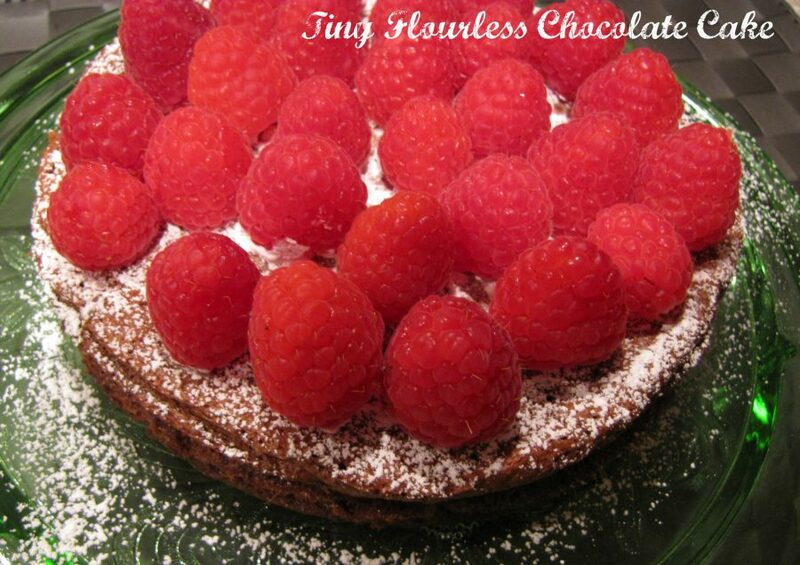 For many recipes I cover my tray with foil but for this recipe I do not. I want to be able to flip the potatoes and doing that would make holes in the foil. Also we want the potatoes in contact with the surface of the tray so they get golden and crispy. Clean up isn’t bad at all, so for this one, skip the foil. Drizzle 3 Tablespoons of olive oil over the potatoes. Sprinkle on at least 1 Tablespoon of smoked paprika (I use closer to 2 Tablespoons), and season with 1 teaspoon each of salt & pepper. Note: There is sweet smoked paprika (which I am using here) and spicy smoked paprika. Be sure you know which one you are using! Also, smoked paprika is its own thing and different (obviously smoky) from regular Hungarian paprika. 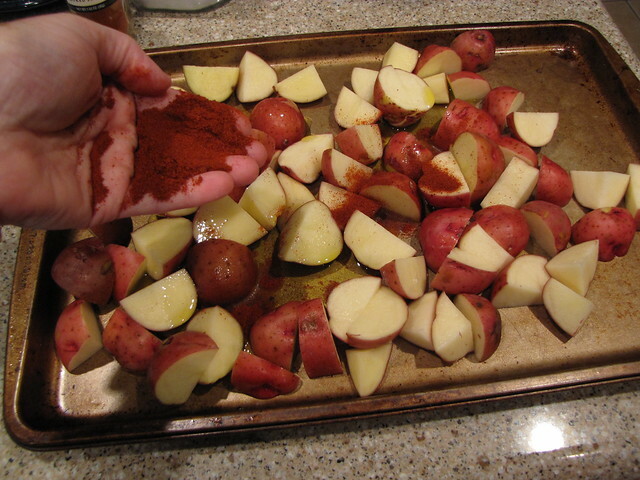 If you are using sweet smoked paprika, go ahead and really coat the potatoes in the paprika. If you have spicy paprika, you’re on your own to control the heat. Use your hands to toss the potatoes so that they are evenly covered in oil and spices. Roast the potatoes in a 400 degree oven for 35-40 minutes. 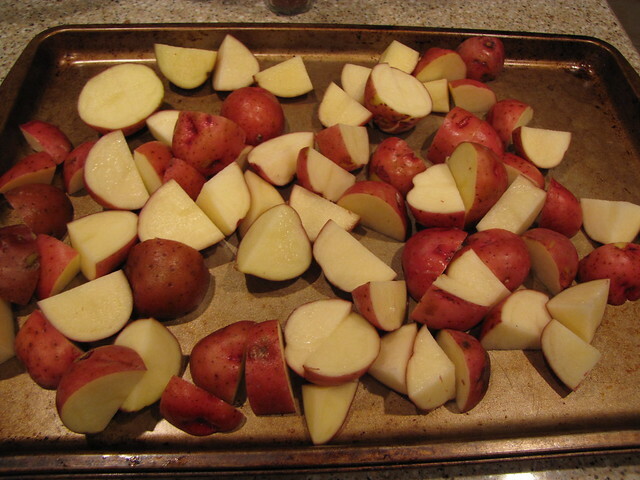 Toss the potatoes around once or twice while they cook so that all of the sides get evenly golden and crispy. Try not to eat them right off the tray and burn the roof of your mouth. These go with everything! You could even make them for breakfast and really change up your home fry situation. 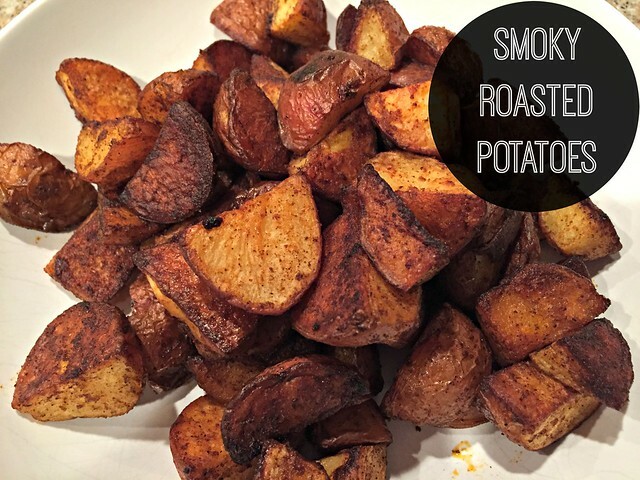 Super Simple Sides – Super Smoky Roasted Potatoes! You forgot the parmesan cheese! I really did finally have to look it up. Thought I was going crazier than usual.